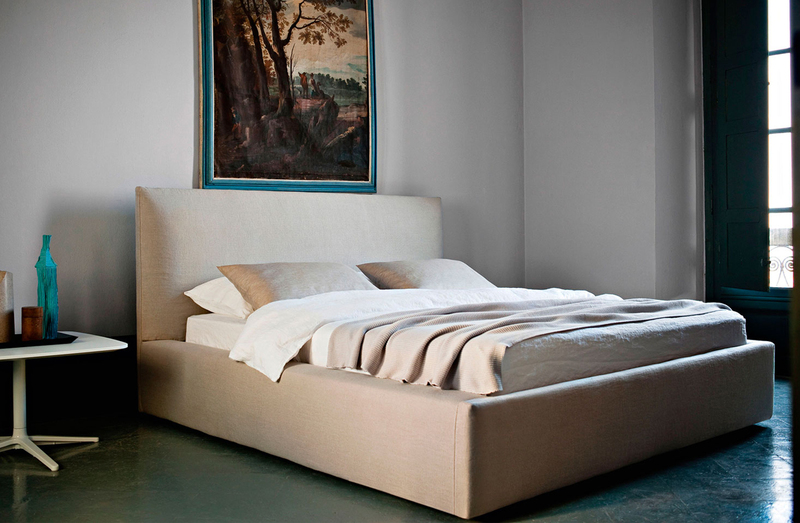 Bed with hardwood structure covered in HR foam, upholstered in fabric or leather. Available in Queen, King or California King sizes. Queen: 74" x 89" x 46"H/15.5" rail height. King: 89.5" x 89" x 46"H/15.5" rail height. California King: 85.5" x 93" x 46"H/15.5" rail height.